There are some things Sue Wiggins wants you to know about Sentimental Journey Antiques, located at 1101 W. 24 Highway in Independence. First of all, with 4,200 square feet of antiques and collectibles, “We’re bigger than we look,” she says. Sue and her husband Bob have been serious antique collectors for decades, and their storefront, as seen from 24 Highway, doesn’t do justice to the rooms of antique clocks, pop-culture memorabilia, antique car parts, ice cream scoops and memorabilia, and somewhere around 300 Aladdin Lamps that are displayed, the largest collection of Aladdin Lamps in the Metro area. They also repair and service lamps of all kinds. Sue would also like you to know that it’s easier to park and to get in and out of the parking lot than it looks. There’s a parking lot on the side of the building, offering easy access from 24 Highway and many people don’t realize this when driving by. Sue and Bob came to Kansas City in the early 1960s. She grew up in Arkansas, and he’s from southern Missouri. They call themselves retired; Bob retired from General Motors and Sue from the AMC Theatres. 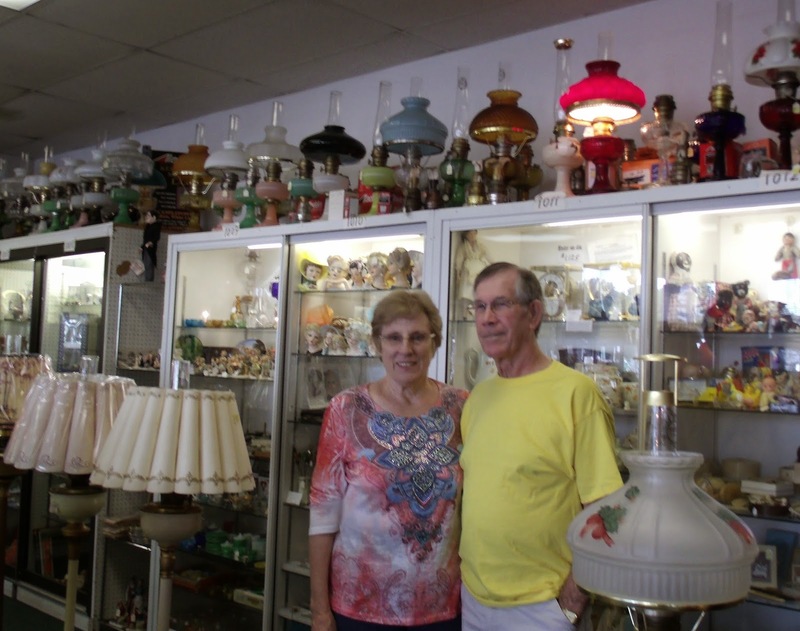 Their love of collecting began 35 years ago, when they began collecting ice cream scoops as a hobby. They are avid members of the Ice Screamers, an international collectors club for lovers of ice cream parlor memorabilia. They travel all around the country to meet and “swap scoops” with other ice cream enthusiasts from around the world. Sentimental Journey is open Monday through Saturday from 10 a.m. to 5 p.m., though occasionally the store may be closed due to medical appointments or jaunts out of town. Someday Sue and Bob would like to truly retire in order to spend more time traveling. They would gladly sell their building and everything in it to another collector, but for now they enjoy spending their days taking visitors on a Sentimental Journey that begins the moment you walk through the door.